The racing year of 2016 will wrap up in a big way in just a few short days as the 11th Annual Joey Coulter Charity Race Weekend takes place December 8-11. The Pro Trucks will go back to run the original 200 lap format from the first event held in 2006 and, once again, Auburndale Speedway will play host to the event, donating the facility to the Cars Racing For a Cause charity that will be raising money for a record five families this year. Since 2006, the charity has raised well over $320,000 for families who are dealing with the health issues of their loved ones, particularly children. This year, money will be raised for the following: Avalynn Luciano who has acute lymphoblastic leukemia and is just 2 years old. – Six-year-old Ayden Henke who has a brain tumor that has caused him to go blind. His brother Jeremiah is ten years old and he also has special needs. To make matters worse, this family recently lost their home in Ocala to fire and they are in the process of relocating and getting their lives back together – Reagan Monday is three years old and suffered severe head and brain damage when a dresser with a TV fell on her. Doctors continue to work with her as recovers from this traumatic injury – Alicia Hayes, a mother of two who has been going through treatments for Glioblastoma brain cancer and recently had brain surgery – Then finally, Marina Petty, a 17 year old with bone cancer in her leg. This event is not just about some great racing but also about a great time for fans who attend as there will be special merchandise available, a great souvenir program, raffles and a fantastic silent auction with many great items up for bid. The Pro Trucks aren’t the only class in action during the weekend as race fans will be treated to a bevy of other races including a race on both Saturday and Sunday for the always popular Scrambler class. Saturday, December 10th will not only see qualifying for the Trucks and a feature race for the Scramblers, but feature race action for the V-8 Bombers, Mod Minis, Mini Stocks and, for the first time in many years at Auburndale Speedway, Three Quarter Midgets will be tackling the tight quarter-mile. As of this release, 24 Pro Truck teams have officially entered or have verbally said they will be taking part, but there are always a few surprises and late entries. The two favorites would have to be a pair of drivers – one coming off an incredible Pro Truck Racing season and the other having a track record in this event that surpasses all others. Becca Monopoli of Lakeland had an unbelievable season racing her Truck in 2016. She won point championships in both the DeSoto/Auburndale Race Truck Series (DARTS) and Florida Pro Truck Series. To go along with those two Series titles, Monopoli also won the Showtime Speedway (St. Petersburg) Pro Truck championship. Competing part-time in the Southern Pro-Am Truck Series (SPATS), Monopoli scored victories at both Orlando SpeedWorld and Bronson Speedway to put “some icing on the cake” to her incredible year. The one thing she does not have on her resume, however, is a win in the Coulter Charity Race, something she hopes to take care of this year after a couple recent years of disappointments in the event. On the other hand there is Steve Darvalics of Venice. Although he does not compete in Pro Truck Racing all that much anymore, he is always a threat and he is the most successful speed jockey in this event, having won it three times (2008, 2011 and 2012). Darvalics has also come within a handful of laps of winning the Coulter race on two other occasions when it looked like he had everything “in the bag,” so to speak. Of course you can’t overlook the young man who lends his name to this event, Joey Coulter IV. The former NASCAR Truck Series hot shoe has won this race twice, in 2013 and last year. Currently Coulter works for his mom on Rum Runner Racing and has his own CIV Driver Optimization Program. His actual “on track” activities are in dirt Late Models racing with the World of Outlaw Series while spending much of his time now as a new daddy to baby daughter Charlie Claire. Expect Coulter to be ready to do some serious racing in an event he truly cares for and loves to be a part of. But, rumor has it that his wife Jessica Coulter may actually be behind the wheel after missing last years planned event after announcing they were having a baby. NASCAR Xfinity Series driver Ray Black, Jr. of St. Augustine will once again take part although he may have to be added as a “promoter’s option” because of a prior Saturday commitment that may cause him to miss qualifying. One veteran who would not miss this race under any circumstances is Joe Winchell, who got his start at the famed Hialeah Speedway near Miami and who now resides in Dade City. Winchell will drive anything with (or without) wheels on it and he will be piloting the #52 truck in the Coulter Race that is owned by Pedro Rodriguez. Big Donnie Burkhalter, third generation racer from Ocoee, is going to sit this one out but has brought in his good friend (and equally big guy) Kody Jett of Orange Park to pilot the family #24. Meanwhile, Kim Scheffler is also not taking part this year as a driver after spending countless hours doing special fundraisers all over Central Florida promoting the event. This entire weekend is very near and dear to her heart and she plans on helping organize everything along with hosting the families at the track. That doesn’t mean her familiar #10 won’t be in the field though as she has brought in veteran Auburndale Speedway driver Dave “Big Daddy” Colpritt to handle the driving chores. Former winner George Gorham, Jr. of Auburndale has indicated he has a ride and expects to officially file his entry this week. V-8 Bomber driver Aaron Holmes, points runner-up here in 2016, has just taken delivery of a Race Truck and is working overtime to try and have it ready for the race in order to make his “rookie” debut as a Truck racer. Fans will also have a chance to meet one of the legendary drivers of NASCAR, former champion “Dynamite” Dave Dion, one of the most popular racers of all time in the Northeastern United States whose career spanned over 40 years. Major sponsors have again stepped up in order to allow this great event to take place including Coulter Motorsports, Rum Runner Racing, CIV Driver Optimization, Les & Judy Smout Foundation, Harvest Meat Markets, American Septic Inc., Fellows Trucking Group, Davenport Fights Back, Enterprise Holdings Foundation, Orlando Dodge Chrysler Jeep & Ram, Southern Air Compressor Service, Inc., O’Reilly Auto Parts and Auburndale Speedway. 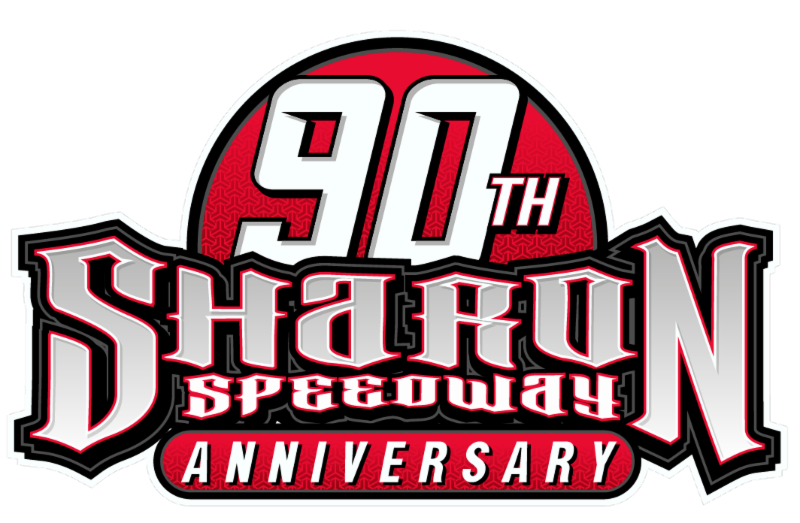 Many other award and lap sponsors are helping make the event a success and, as of this release, well over 100 of the 200 laps are now sponsored at $20 per lap. $10 of each lap goes to the purse while the other $10 goes directly to the families being supported. If all the laps are not sold, all of the lap money goes to the families. O’Reilly Auto Parts Qualifying Awards: 1) $200 2) $150 3) $100 Dannis & Dannis Calculated Move of the Race Award – $100 The Robert & Stephanie Howell Hardcharger Award – $100 The Ocala Aquariums Halfway Leader Award – $250 The Itson Family Hard Luck Award – $100 The Rex Engineering “Most Missing Body Pieces Award” – $100 The Robert & Stephanie Howell “Cool Move of the Race Award” – $100 The Baldwin Motorsports Fast Lap of the Race Award – $100 Sunoco Race Fuels – Pre-entry bonus drawing: three 10 gallon gas certificates and two five gallon gas certificates. American Racer Tires – Pre-entry bonus drawing: Giving away two tires to the drawing winner and one tire to second place in the drawing. Joey Coulter: Pre-entry bonus drawing where each of two winners get pit passes for the weekend. Lap sponsors (as of 11-28-16) include Kathy Finley (Professional Motorsports Solutions), Advanced Automotive – (Ralph Bowman), DARN Apparel (Dawn and Richard Neale), Lawless Development (Joe Buono), Onsite Paving (Jim Nolan), 4-year-old Autumn Rayne Johnson (big Kim Scheffler fan), Addy’s Automotive of Largo, Competition 101 (Stuart Lycette), Brian Gardepe, Sherrie Weaver, Ocala Aquariums, Arellano Reality – Bobby Orr Agent, Steve Fawcet, Wrench’s Village Auto Service of Greene, NY, Marina Petty (by mom & dad), Lacey Jade Anker, Gorham Motorsports, Chad Gardepe, Trimac Moulding Services of Skip Pickwick, NY, Narramore Machine Shop, Rahmoc Engines (Bob Rahilly) of Concord, NC, Tri-County Microd Club, Donte Wrench, Fellows Motorsports (Donna Fellows-Coffey), Bruce Griffin, Mike Toemmes, Mater Racing-Hibbard Family (NY), Cole Partelo Racing, Hunt Girls Racing (Tim Hunt), Dalton Monday, Southern Thunder Marine (Paul and John Fitzgerald), Concord, NC, Pro Fabrication Exhaust Systems of Concord, NC, OB Builders (Bryan Dazut), Concord, NC, In Memory of Al Macrabie (Jerry & Debbie Northrup), L. J. Grimm, Milanie & Terrance Lewis, AJ’s Performance Fabrication of Concord, NC, Jason Rendell Motorsports, Dan & Becky Mullineaux and Green Racing. 5-9 pm. Admission is $10 per person. There will be no practice (or testing) on Friday, December 9th or before the gates officially open on Saturday, December 10th. Friday evening, December 9th, it’s “Charity in the Park” taking place at Auburndale City Park on East Park St. in Downtown Auburndale. This is a FREE night of fun and great music provided by the Nathan Baldwin Band with special guest Madison Grace Rhodes. There will be donation jugs and raffles to raise funds for the families. Bring a chair, and join the fun. Drinks and snacks will be available on site. Pit gates open for Pro Trucks only on Saturday morning, December 10th at 10 am with all other classes being allowed in to park at 11 am. Pro Trucks will have their practice session from 2-4 pm with the other divisions that will be racing having practice from 4-5:15 pm. Grandstand gates open at 5 pm. Qualifying for the Pro Trucks and V-8 Bombers takes place at 6 pm with racing beginning at 7 pm starting with 25 laps for the Mod Minis. Scramblers then go for 20 laps and the TQ Midgets then race for 25 circuits. A last chance race for the Pro Trucks (if needed) is next followed by the big 50-lap contest for the V-8 Bombers. Mini Stocks round out the night of racing and will go 25 laps. After the racing is over, everyone is invited to the “Pit Party”featuring PA music and a chance to see the drivers up close. 10:45-11:15 am with Scramblers getting hot laps from 11:15-11:45 am. Grandstand gates open at 12 noon with a huge autograph/meet&greet/photo op session starting at 1:25 pm. Opening ceremonies take place at 2:15 pm. 30 lapper for the Scramblers to round out the big weekend. Adult admission for Saturday is $10 (seniors and military $8) and $12 on Sunday with all seniors and military getting in for $10. Children 12 and under are free both days. Family Four Packs are not available for this event. Pit passes are $20 on Saturday and $25 on Sunday. Parking is free. “We are excited about this years event, with a great opening night at the Auburndale City Park for all the drivers, officials, teams and fans to just enjoy,” says Event Director and Promoter Rick Bristol. “Then two days of racing for a great cause. I appreciate all the drivers that come and compete in this event, and we want them to know we appreciate them all. We have delegated duties this year to make things a bit easier on me as it has become more than any one person can handle. So I appreciate Kim Scheffler and her group pitching in to handle a lot of the raffle, food and logistics parts. I also appreciate, with all they already do, Colette Guy taking over the gates, the workers for that and handling all of that to relieve me a bit more there. I have been told by too many people ‘Rick you cant stop doing this, you have to keep going’ and so we have worked to make this easier and to have more folks helping to make the event go. I am very grateful to continue on as the Director and Promoter of the event. I just want everyone to just come and enjoy and lets help these families,” stated Bristol. Joey Coulter chips in saying ” As always this event continues to get bigger and better and I am happy to have had Rick ask me to put my name on the event five years ago now and it has really become a big part our families’ lives. I look forward to seeing everyone and look forward to see what Rick, Kim and the volunteers pull off this year,” stated Coulter. 2007 – George Gorham, Jr.